Drive your kitties mad (in a good way)!! 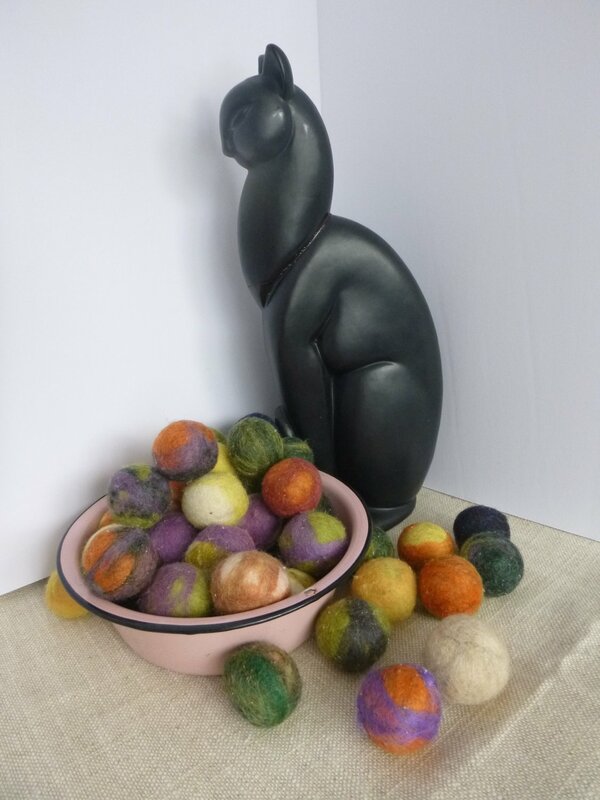 These handmade, felted cat toys are perfect for that special cat in your life! Colors are mixed, so the product will vary. Price is per jingle ball.